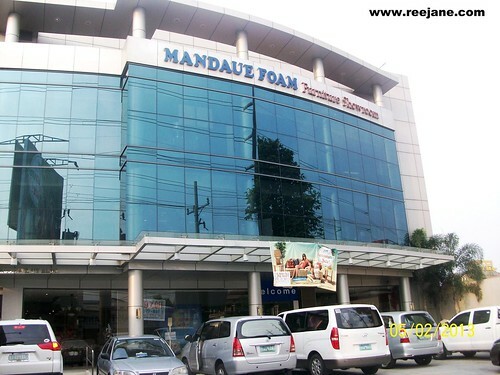 I couldn't resist not to check out the items that were on sale and since I don't want to be trampled or be a victim of a stampede scene in Mandaue Foam's Las Pinas branch, I decided to check it out yesterday where most of the Filipinos are engaged in their respective work. If you're coming from Alabang, it's on the right side before you reach SM Southmall. If you're coming from Baclaran/Zapote, it's on the left side after SM Southmall. It's actually less than 5 minutes away from SM Southmall so in case you missed this building just stop at SM Southmall and walk the rest of the way going to Mandaue. 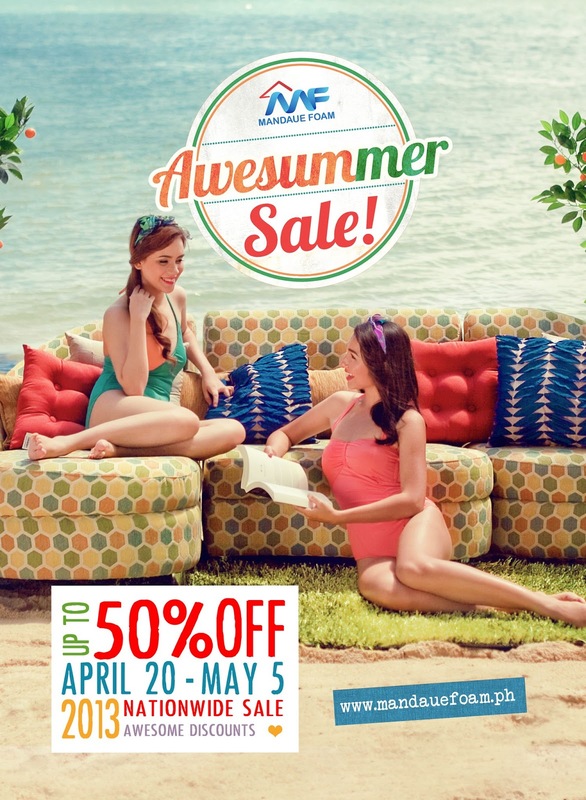 Inside the store, you will see a lot of tarpaulins screaming the discounts and sales. Sorry I was not able to take a snapshot since there are customers around and I fear that the one of the staff will questioned me on taking pictures. 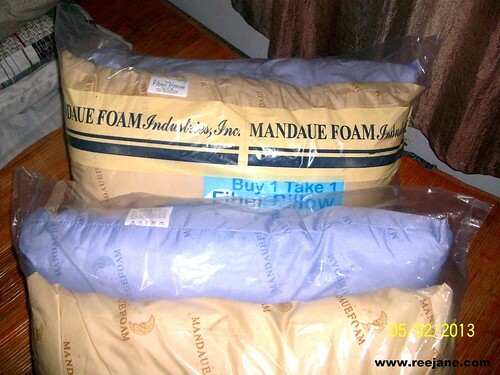 I immediately looked for the pillows that I saw on Mandaue Foam's online shopping website. 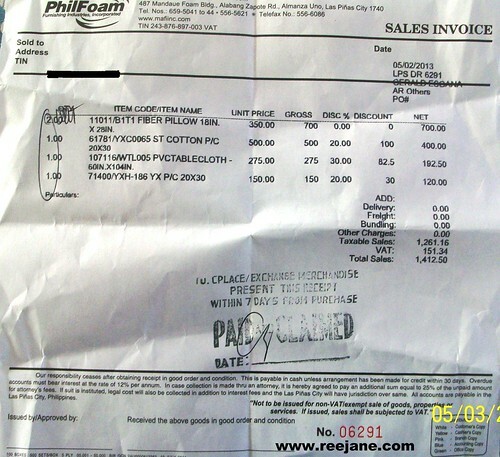 It's a Buy 1 Take 1 Fiber Pillow costs at Php 350 so that's Php 175 each pillow. I already told my husband that we need to replace the pillows were using on our bedroom because for me it reached its mark to graduate. 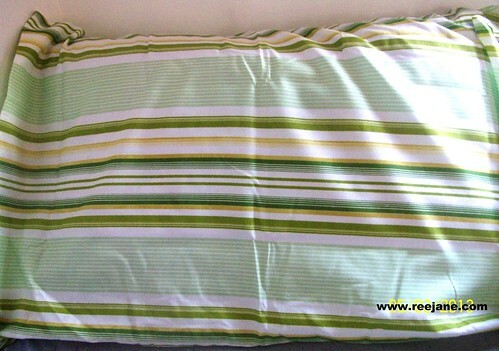 Our pillows are not tattered beyond recognition but we've been using it for a long time now (don't ask how long). Found these pillows on the ground floor of the store. It's located at the far end near the carpets section. Just look for a red banner that hang on the ceiling that says SALE ITEMS. On the 2nd floor, they have the "special" pillows ranging from Php 280-950 per piece. I was eyeing the Dreams Pillow and Fantasy Pillow but the thriftiness in me prevailed. Yeah I know what they say about investing in nice pillows for a good sleep and posture but that just have to wait as we are planning to renovate our bedroom. As soon as we have a nice mattress then I will definitely pair it up with those nice and comfy pillows. 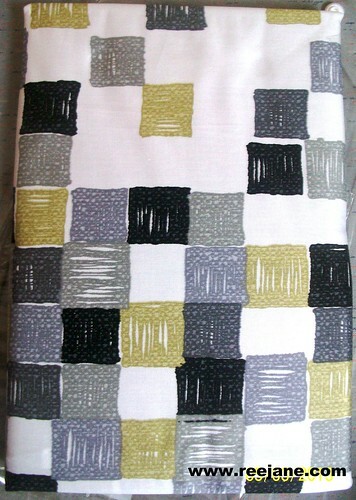 Actual photo of the pillowcase :) I know it's cheap but I like the colors. So calm and fresh! 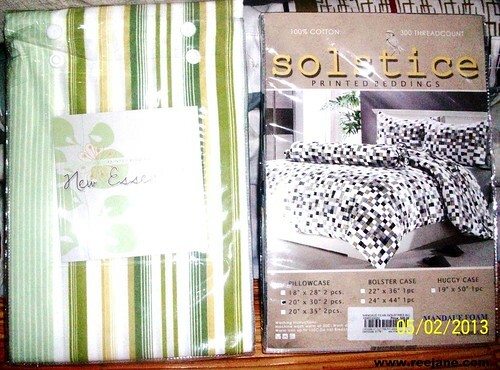 and green bed sheets. It's a little pricey than the other since it's a 300 threadcount. When I was about to round up my purchases, my eyes darted on the shelf that holds the tablecloth. 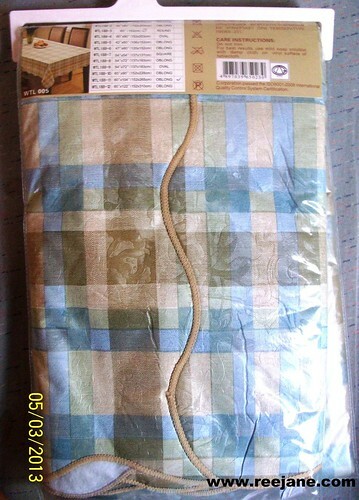 I instantly fell in love with the soft earth tone colors of this tablecloth that I decided to get it. 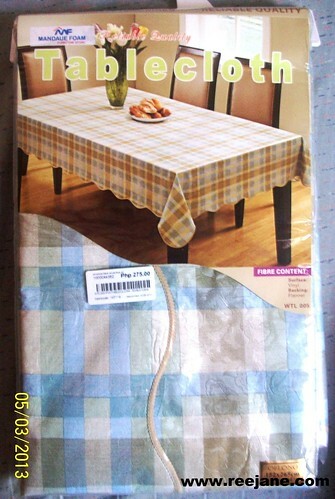 The tablecloth that we have right now in the dining table needs a substitute. See the embossed design on the tablecloth? Didn't check out the bed frames but accroding to the staff who assisted me, the mattresses (foam and spring) ranges from Php 7k -8k, apply the 30% discount and you'll get Php 4,900-5600. It's a good buy isn't it? This awesome summer sale is until May 5th so grab the discounted items until supply last.